Book writing is a very complicated process, which is not limited to vivid imagination and grammar knowledge. One should have imagination and ability to writing. Many sources offer tips for writing a book but those are mainly focused on specific steps of book writing after one has started doing it. If you want to start writing a book, you need to come through some particular steps. However, the book writing tips offered in this particular article are devoted to those, who haven’t started writing yet. If you have some ideas about book writing, you need to check these tips for writing a book. You need to make a decision. If you know that you want to write a book, if you have a specific idea, it’s a half way to success. Having set a purpose to write a book means you already have a particular idea for writing. Only the idea of a book can result in a written completed piece. You have to start writing. It doesn’t matter whether you start writing the beginning or the end. You simply should start doing it. There are many people who have lots of ideas, but they don’t know how to begin writing. The only possibility is to start from the middle or from the end. 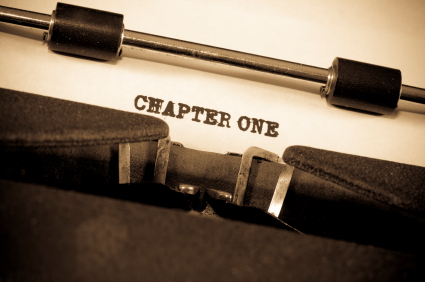 If you start writing a book from the middle, you’ll know how to write your beginning. Set yourself comfortable. You should feel cozy in your chair and in the place where you sit. The environment is really important for relaxing since only being comfortable you’ll be able to write a book. Plan your work. Devote at least an hour a day for writing your book. You may make some notes, you may write down some ideas. This is also a work on the book. Never stand up if you don’t have ideas as in this case you’ll be stuck at the beginning of the next session. Make notes everywhere. No matter where you are, you need to have something to write down or to record your voice. You may have a brilliant idea at moment. Ellen Wittlinger I her Hard Love has written, “Once you get the words down on paper, in print, they start to make sense. It's like you don't know what you think until it dribbles from your brain down your arm and into your hand and out through your fingers and shows up on the computer screen, and you read it and realize: That's really true; I believe that”. This is the condition until you should write; this is the final purpose you should try to achieve.